Much has been said about Chanel’s ongoing efforts to align its prices worldwide, which in layman’s terms simply means that if you were to buy anything from the French luxury house no matter where you are, you’ll pretty much be paying more or less the same as the someone in London, Paris or New York City. And while there are naysayers out there who believe that their prices are only cheapest in Paris (or Europe, for that matter), I’ve got news for you. On a recent trip to Paris for the #ChanelMetiersdArt show #ParisCosmopolite which I’ll be covering here in due time, we naturally indulged in what us Singaporeans do best. Shop, that is. 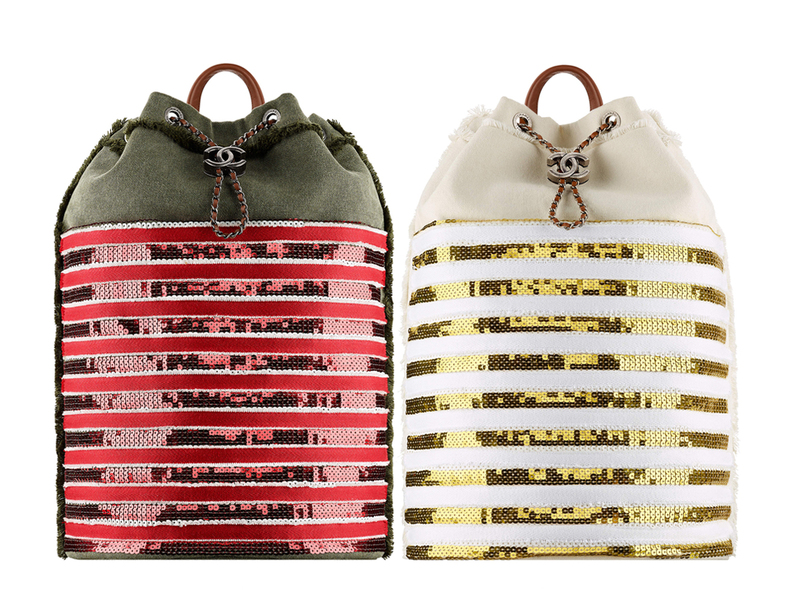 And one of the bags that I was checking out included this, the Canvas & Sequins Backpackfrom the #ChanelCruiseCuba collection. Priced at EUR3900 in Paris, it’s not a bag that I would actually buy, though I did think it was an interesting juxtaposition. One that mixed military green canvas (see left) with row upon row of pink sequins. Measuring some 40 cm by 36.5 cm by 19 cm, the backpack comes with brown leather handles and a drawstring closure that ends with a ruthenium-finished buckle. Now here’s the interesting part. It’s priced at EUR3900 in Paris, which makes it around SGD5800 or so after conversion (I used XE, which is not 100% accurate, but I use it more as a guide). In Singapore, however, the same bag retails for SGD5450, which makes it even cheaper in Singapore. Yes, it’s cheaper. Which is certainly puzzling. And while I can’t say if it’s the same for all the bags that Chanel has, it’s good to do 2 things moving forward. Stop assuming that it will be cheaper overseas, and always check (and double-check) the prices with a reliable source before you commit. Because that’s exactly what I’ll be doing from now on. Introducing the Chloe Faye Backpack Bag. The new Faye Backpack is part of the brand’s Resort 2017 Collection and was also presented during their Spring/Summer 2017 runway show. The backpack features ring and chain details from the original Faye shoulder bag. It is made of suede and calfskin, while the interior is made of canvas lining which has a zipped pocket and a flat pocket. The bag has two fronts zips that can be zipped up or down, which features a contrasted lining, allowing a bigger capacity. It includes removable leather straps and can be carried on the back, over the shoulder or by hand. Available in two sizes, Medium and Mini. There plenty of backpacks available today, but the Chloe Faye Backpack is definitely one of Bragmybag’s favorite so far. But why? Chic, classy and affordable are the reasons. The Faye Bag Collection is a unique line, the front is crafted with an oversized hoop and attached with a ladylike chain to side – this design is not only fabulous, but one-of-a-kind as well. What’s more? The design is timeless, with a touch of minimalistic. It’s made in the typical Chloe’s mix of colors like brown and orange, which goes perfectly with almost everything casual-chic in your wardrobe. You can carry it for work, weekend or travelling. You can carry it in the autumn as well as in the fall. Chloe has been heavily promoting the Faye Bag, because it’s very promising. And who knows, perhaps it will be the next iconic bag. In this post you will see more detailed images of how the bag looks when you carry it. Let us know what you think in the comment section. After long hours of research, you finally completed your wish list. Then another unknown bag comes along and confuse your initial plan. Meet the new Chanel XL Quilted Bag. It’s a new backpack from Chanel. The design is brand-new, so nothing similar has ever been done in the past – with large and thick quilting, it feels like Prada’s Bomber Bags. The front flap is made with the signature CC logo and the top is adorned with leather-woven-chain-strap. The material feels very strong, so it’s a nice backpack when you are on a city trip or climbing the Mountain Everest (obviously, you will need more than that). As in all backpacks, the interior is large enough to fit all your essentials. So what do you think? Backpacks are so hot right now and you know what? If you really decide to purchase a backpack, it might as well be the latest Louis Vuitton Reversed Monogram Palm Spring Backpack. Take a closer look at the bag that our friend James has purchased. 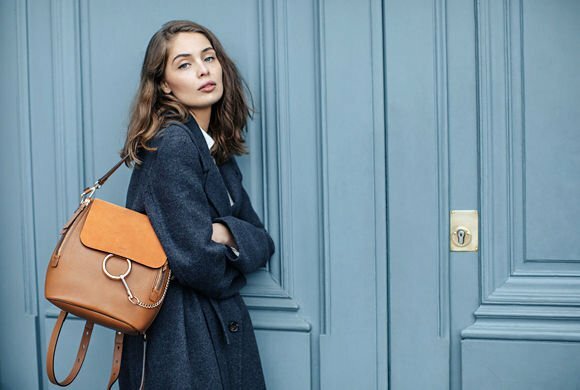 Together with the Contour Kelly Bag, these are the best investments you can make. This backpack is unique because it features the newest Reversed Monogram Print mixed with the iconic Monogram Canvas. It’s trendy, sporty with athletic silhouettes, featured on the runway and everything but boring. But what you also need to know is that it’s light-weighed, comfortable and very practical to use. It can carry everything you need.